With a seemingly inexhaustible supply of zombie movies, can Shaun of the Dead stand out from the horde? 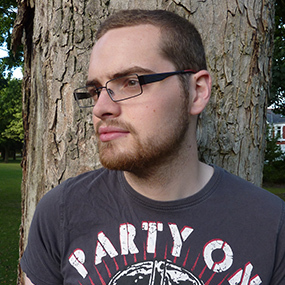 Shaun’s life is falling apart and then there is a zombie apocalypse. Wanting to change his life around Shaun and his best friend Ed, set out to rescue his friends and family and take them to the safest place he knows, the pub. 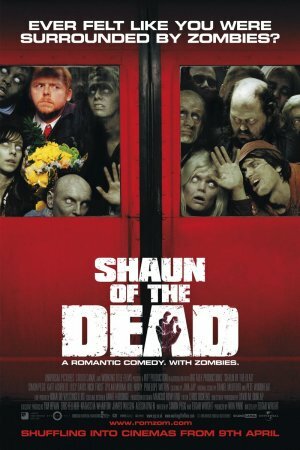 With horror aspects frightening and comedy coming naturally from situations and fear, Shaun of the Dead balances the two well without it becoming a b-movie or spoof. When merging two opposing genres it is important that both are shown of equal worth, this is what the writing duo of Simon Pegg and Edgar Wright do fantastically. At the centre of the story is the dysfunctional relationship between Shaun and Ed and because Nick Frost and Simon Pegg have a great off screen relationship their love transfers brilliantly onscreen. It’s best shown when they are down in the beer cellar; this heart warming moment helps elevate the film from being just another comedy to what it is, a modern classic. The plan for survival includes nothing more than finding a place they know that is secure; the attitude that they can smoke and wait for the apocalypse to blow over is a great change from the norm of American films where finding a cure or containing the spread is the order of the day. This approach shows what people would actually do rather than what they think they would do which results in connecting with the audience in a more meaningful way. Shaun of the Dead is a great film for newcomers to the zombie genre but gives a nod and a wink to George A. Romero and 28 Days Later amongst others; simply put this film is dead good.